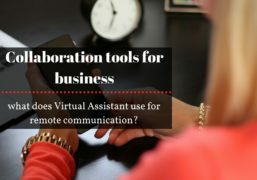 Collaboration Tools for Business: What Do Virtual Assistants Use for Remote Communication? For huge companies, remote work might be easy to manage, as remote employees usually have strictly characterized duties. However, as a rule, workers of a little business have duties including a large number of errands and tasks. Small businesses – especially on the startup stage – may not have an office, so representatives may have no live conversation. Leaders of small businesses must figure out how to arrange effective process of remote work. 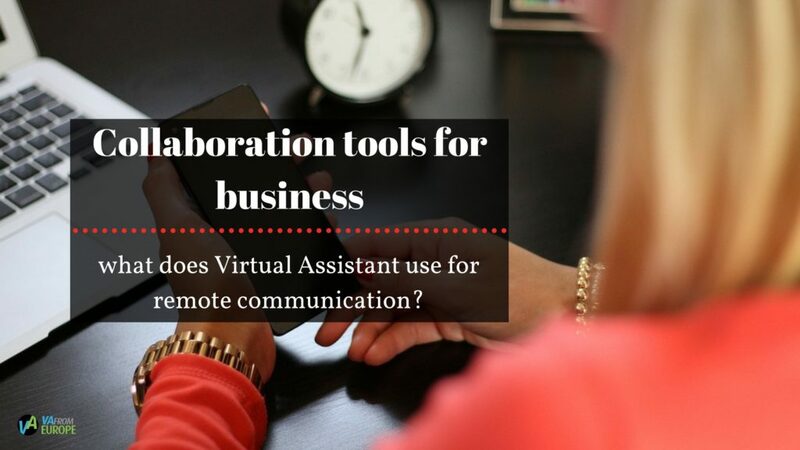 The fundamental part of virtual assistants’ work is online collaboration and remote communication, so they have an extensive experience in this sphere, using vast number of communication tools for business and this article gives advises on this topic. The first and the most important thing considering communication tools for business is Email. The first contact of virtual assistant specialists with clients happens with the help of e-mail. Email is the most common utilized type of business communication with remote representatives, especially if they are working in different time zones. If you’re a leader of your organization, you should have the capacity to deal with your inbox in an effective way and train your workers to answer messages immediately regarding any issues connected with clients. Everybody in your company needs to answer to messages in a reasonable and brief way. Be sure that your answer is clear and accurate, that it will help you to avoid further questions and save your time. In case you can’t response to a message or to the request from a colleague immediately, create a short massage telling them you will answer as soon as possible. Try not to make them wait so long. In case there are reports or documents that need a review, corrections or joint group effort, use instruments that can deliver it the whole group. There are three useful cooperation alternatives – Google Docs/Drive, Trello and Basecamp. If the problem can’t be solved through email, use the Skype call to ensure the message is clear and everything is under control. Web conferencing is the next essential step in remote communication process. Get rid of communication barriers! By virtue of technological opportunities, there are a large number of online instruments accessible to make it less demanding for remote colleagues to be “available” to reach and the clients to connect. Urge colleagues to discuss work issues among themselves and team up through web conferences to avoid misunderstandings. Considering the distant work with clients, web conferencing is the next step after email massaging. By virtue of technological opportunities, there are a large number of online instruments accessible to make it easier for remote colleagues and clients to connect. Urge colleagues to discuss work issues among themselves and team up through web conferences to avoid misunderstandings. You can arrange meetings using video or voice calls through Skype or Google Hangouts to connect with remote colleagues or clients. As a team leader, urge your group to call you or a client using these tools especially when critical matters should be talked about without disturbing a working process. This practice is a valuable skill. It helps to solve business issues quickly, without wasting a lot of client’s time. Another great tool for video conferencing is GoToMeeting, it allows you to hold meetings in HD quality, as in the Skype, and you can create a meeting for hundred people at once. In addition, it provides high security quality. Listening is the vital thing in online collaboration, so the instruments should be properly customized. Listening is not simply recognition of the words that are being said, but the understanding of what the person is stating. Holding on meetings, you should provide conditions in which your clients or team members feel safe to openly express their requirements. Try not to interrupt the people when they are talking. Trying to be multi functional, people tend to miss essential elements of what is being said. Talking about technical part of the experience of virtual assistant staff, it is important not only to choose the comfortable and secure way to hold on web conferences and meetings, but also to solve technical issues. That means you should have devices such as microphone and camera of high quality, a good Internet connection, and all settings should be properly customized to provide your client great and fast service.